Take a look at these DIY projects that cover everything from the front porch to the bathroom, and will surely boost the value of your home. While one’s property value depends on the neighborhood and location, there are still some things you can do to increase its aesthetic and worth. If you’re looking for some cool DIY projects for your home, this roundup of ideas could interest and inspire you. So whether you’re looking to sell your home or just want to make it look better, here are some great DIY projects for home improvements you can do. If you want to avoid the expense and mess of pricey wallpaper, why not stencil your walls? It’s a budget-friendly project with only your time as an investment. The result is a standout accent that gives your home a little more personality. There are a ton of ways you can update your bathroom. Whether you want to update your mirror or shower floor, here are some ideas you can easily whip up to give your bathroom a little facelift. Want an inexpensive kitchen renovation? Make this DIY kitchen island from concrete and wood. I’m sure you’ll be proud to add an eclectic piece you built yourself to your kitchen. Adding curtains to any room can give it an instant makeover. And the good thing is, you don’t really need to settle for expensive store-bought curtains. With just basic sewing skills, you can easily customize a curtain that will match your home decor. Adding some DIY furniture to the backyard can give your home the makeover it needs. You may even want to spend more time outdoors after completing these projects. Want to know how to paint concrete floors? Here’s an easy tutorial that will make your floors look amazingly beautiful without the steep price. If painting a concrete floor isn’t your style, why not try staining it? Make it look elegant in no time with this easy-to-follow tutorial on how to apply acid stain to a concrete floor tutorial. This should be one of the perfect weekend home improvement projects you can DIY! If painting or staining isn’t your style, and you want the rustic, polished look of wood flooring, achieve the idea by installing wooden planks. Your laundry closet doesn’t have to look like your dirty laundry. For under $100 you can make it look stunningly organized, so you can work with ease and comfort. Do you know those basic moldings you can get at any hardware store? Updating your home with basic moldings will give you a more polished look, making any room appear more customized and expensive! Built-in bookcases can help you decorate a plain wall. Not only will it give you room to keep your books, but they make great spots to display your DIY crafts and family treasures. If fixing the fireplace seems to be too much work, make this quick and easy faux log stack for the fireplaceyour next weekend DIY project. It will give your home a little upgrade by adding a bit more of a modern and rustic look. Updating your lighting fixtures adds value to your home, too. Try making this DIY pendant shade for just $30 and you’ll surely get your money’s worth. There’s just something about a floating illusion that gives a beautiful look to a home. Have a place to recreate these DIY floating shelves in your home and you’ll not only have extra space to display knick-knacks, but also an eye-catching piece. Envious of this finish? Don’t be, because you can have it too in just a couple of easy steps. Transform any ready-made cabinets into statement pieces. Have you noticed that all posh homes have wainscoting? If you think it’s pricey, think again. It’s a great and inexpensive project you can DIY. Adding crown molding will add visual interest to your home’s interior, as it adds a touch of elegance. Crown moldings are made of wood and lots of different styles, which you can then paint or stain to blend in with your home’s aesthetic. Privacy is important! If your backyard looks like this, then you probably should consider making this DIY corrugated steel fence and secure what you’ve invested. Tiling a backsplash not only adds some style to any kitchen, it also adds beautiful color and value! This project may look intimidating, but don’t lose heart, it’s easier than you think. A home is not only a place where you can reside, it is also a great investment. Increasing the value of your home does not need to cost an arm and leg. It doesn’t always have to be major home improvements that will burn a hole in your pocket– some inexpensive DIY projects can do the trick. 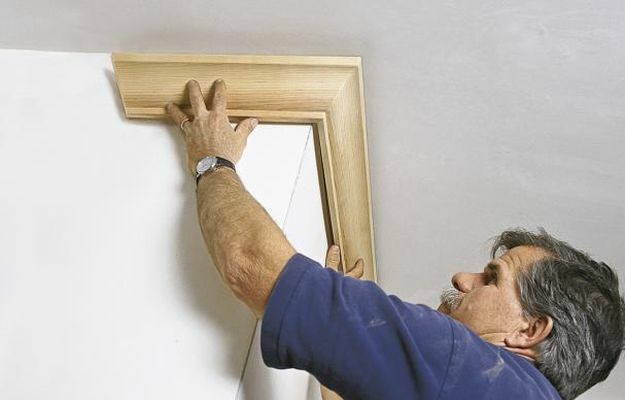 You better start doing one or two of these home improvement DIY projects and make your home more valuable, not just for the market but for you to live comfortably, too!